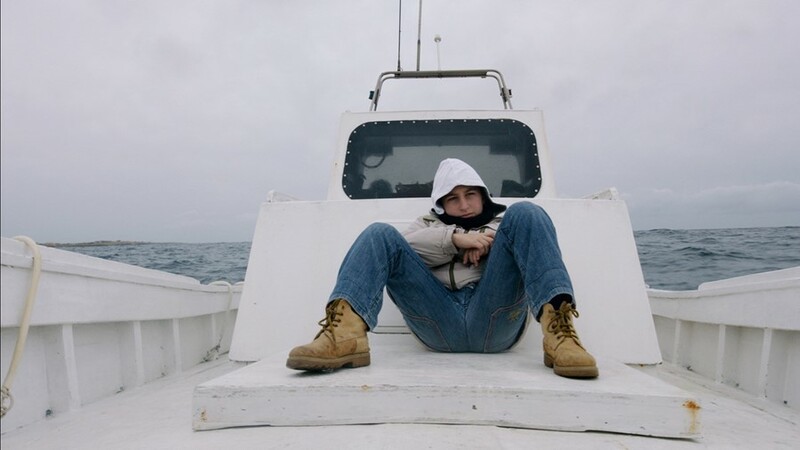 Gianfranco Rosi’s Fire at Sea is an absolutely vital film on what the director calls the greatest tragedy Europe has seen since the Holocaust. For the documentary, Rosi spent a year on the Italian island of Lampedusa, which in the past 20 years has been the destination of 400,000 migrants trying to reach the safety of Europe. It’s estimated 15,000 people died along the way. Eschewing a voiceover, Fire at Sea allows viewers to make up their own minds. Rosi shoots the islanders whose daily routines are mostly uninterrupted by refugees landing on the shore. It’s only a local doctor who examines every man, woman and child who arrives dehydrated and malnourished, sometimes covered in burns from the fuel, and he too witnesses the bodies that don’t survive the journey. As Rosi spends time with the parallel lives of the migrants, it’s devastatingly apparent they have no other option. One man, in the middle of a prayer, opens up about his plight. He fled from bombs in Nigeria to the Sahara Desert where people were raped and killed; he drank urine to survive. 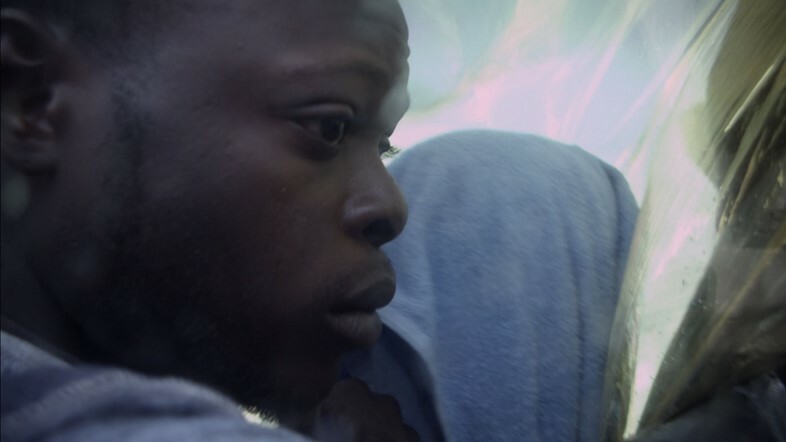 Then in Libya, controlled by Isis, he was imprisoned and beaten for being African. On his perilous boat journey to Lampedusa, only 30 of his fellow 90 passengers made it out alive. This year’s Berlin Film Festival awarded Fire at Sea the Golden Bear for best film, and DVD copies were handed out by Italy’s prime minister to every EU leader at March’s summit. Earlier this week, we sat down with Rosi to break down what everyone should know about the refugee crisis. Gianfranco Rosi: Most of the people are escaping from war, from hunger, from economic crises. Nigeria, Chad, Somalia, Eritrea, Ethiopia, Niger. These countries right now are amidst civil war and in economic crisis. People are dying of hunger, and that’s a right of living. It’s a human right to give a better location to your kids, and we have to understand that. There are 250,000 people trying to escape from Libya, a country where every day women are raped, and men are put in jail; kids have their kidneys taken out and are sold to families like slaves. These people are escaping because they know they’re going to die there. Then when they face the sea to find freedom, many die after three hours of navigation. Gianfranco Rosi: The film shows it’s unacceptable that people die escaping from wars and economic crises, and it’s something we cannot accept in Europe. The good news is there are 3 million people around the world that are moving. It’s always happened in the history of humankind. There’s probably 1.5 million coming from Africa, pushing up and escaping from tragedies. The good news is that nobody can stop them. There’s not going to be any kind of wall, any kind of politics, or anything that can stop this. It’s part of history. Gianfranco Rosi: Europe has to start working as a whole, and not as individual countries. This is not only Europe. The whole world needs to act. The United Nations, America, Europe, Asia... It’s like the climate situation – they were able to somehow put together all the countries to find a mediocre solution to challenge the problem of the weather in the next 20 years. This is another thing. The whole world should sit together and find a solution. It’s unacceptable that 250,000 people are escaping from Libya, from a situation with no human rights whatsoever. 250,000 people is nothing for a country of 500 million people. All these people should be spread around the world and Europe, and should not be allowed to die in the sea. Gianfranco Rosi: What people can do is face the eyes of these people and treat them as individuals, not as numbers. What people can do is not turn their head and pretend this doesn’t exist. What people can do is create a sense of acceptance, that the world is changing and we cannot live the way we used to. People can also go vote on June 23, and know that this country cannot separate from its identity in Europe. England cannot go out of history like Switzerland. What this country has done in the last 100 years is so massive, it cannot just get rid of its responsibility after being such protagonists of European history, from the First World War, the Second World War, and the years to come. Europe without England is a defeat, and England without Europe is a defeat. Gianfranco Rosi: When I made the film, it was 15,000 deaths. Now there are 18,000 deaths in the last 15 years. These numbers are huge. It’ll get worse and worse. This week, 700 people died. Last week, another 800 people died. From January up to now, 2,500 people died in the Mediterranean. These are horrible numbers. This is one of the biggest crises Europe is facing after the Holocaust.